If you want to lose weight, you’ll be pleased to know that there are several strategies which have proven to be quite successful for those who have engaged in them. It does not entail a search for a secret remedy or a magic trick. Obviously, you won’t be able to witness the result overnight because the best diets are the ones that stand the test of time but keep in mind that your body is a powerful machine and you can definitely beat your extra pounds in as less as a week. 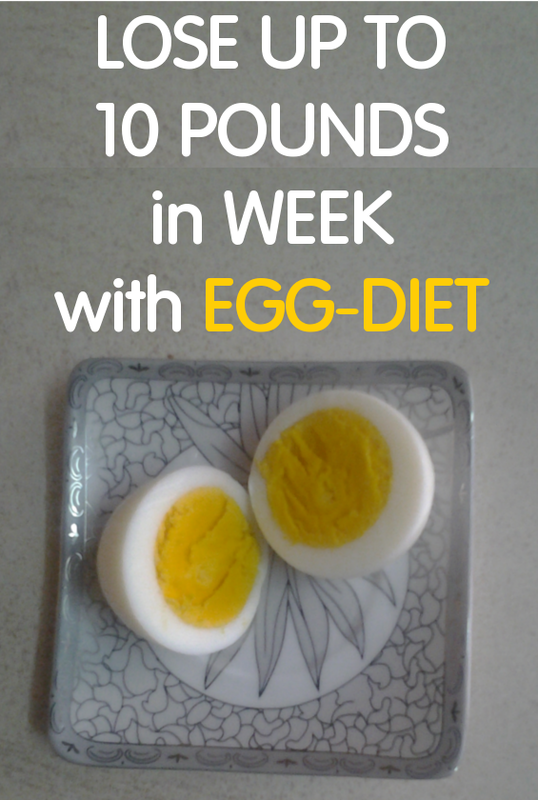 Egg-diet is simple, easy to integrate into your day routine and enthusiastically effective to make you thinner and enable you to lose up to 10 lbs in only one week. It is the low-calorie diet that you need to solve all your related weight problems. Actually, it strikes the right balance between the energy that you put in and the energy you use. Besides, eggs do not deprive your body from its necessary nutrients and jeopardize you health, in contrast, they are rich in lean protein which will make you full for a long time. It would give you time to consume less calories and thus contributes a fast weight loss. Also they speed your metabolism and provide you with the sufficient vitamins. What can you substitute for the grapefruit? Hi Carolina you did not mention if we feel hungry then what to eat in between lunch and dinner? What is the reason to eat tomatoes with eggs? Is there another fruit/vegetable that can be replaced? I also want to know what to replace grapefruit for if we don't have it? Replace grapefruit with? And fix be salad and cabbage how?